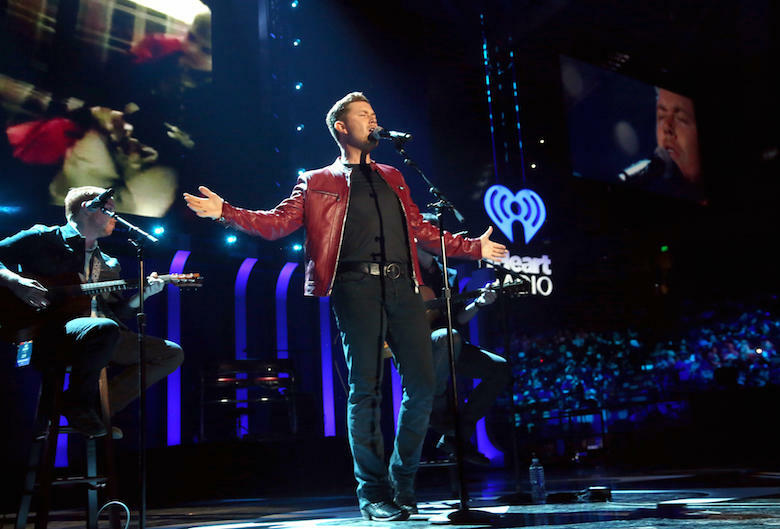 Luke Bryan, Keith Urban, Sugarland, Maren Morris and Billy Currington are among the acts performing in the “iHeart Country Festival” (Fox, 8 p.m.) from the Frank Erwin Center in Austin, Texas. Bobby Bones and Candace Cameron Bure are hosts. “Succession” (HBO, 10 p.m.) ends its season just as we were warming to its prickly characters. Naturally, its main activity is a hostile takeover attempt in the middle of Shiv’s lavish wedding. It comes after Calhoun Day is celebrated on “Sharp Objects” (HBO, 9 p.m.). “The Tunnel: Vengeance” (PBS, 10:37 p.m., check local listings) has its conclusion in a tense showdown with the Pied Piper (not the company from “Silicon Valley”). The host had to send regrets (and a taped message) to the TV Critics Association Awards show Saturday because he was in New York working on “Last Week Tonight with John Oliver” (HBO, 11:10 p.m.), so it better be good. Speaking of which, Ghost confesses his sins on a new episode of “Power” (Starz, 8 p.m.). Cole makes a sobering discovery on “The Affair” (Showtime, 9 p.m.). The Sarah Palin episode is still expected one of these weeks on “Who Is America?” (Showtime, 10 p.m.). Weird to have a preview show of the upcoming ninth season of “The Walking Dead” (AMC, 9 p.m.). It also has an unexpected host: Yvette Nicole Brown. On the new “Ultimate Ninja Challenge” (Discovery, 9 p.m.), nine experienced practitioners try to survive learning the skills they learned on the obstacle courses. “Unexpected” (TLC, 10 p.m.) returns for a second season. Don Jr. tries to grow up on “Our Cartoon President” (Showtime, 10:30 p.m.). While the main show concerned Americans and their international intended, on the third spinoff, “90 Day Fiancé: Before the 90 Days” (TLC, 8 p.m.) involves Americans going abroad to marry. One goes to Nigeria, another to Colombia, and a third to Brazil. A new head of household takes power on “Big Brother” (CBS, 8 p.m.). Never too late to premiere “Ultimate Summer Cook-Off” (Food, 8 p.m.), in which host Eddie Jackson sets up the first challenge involving backyard burgers and hot dogs. On the third season premiere of “Chesapeake Shores” (Hallmark, 9 p.m.), Trace returns after three months on tour. Kristin goes to L.A. to co-host the Oscar red carpets on “Very Cavallari” (E!, 10 p.m.). Polly gets a disturbing message from Marnie on “Claws” (TNT, 9 p.m.). A winner is chosen on the 10th season finale of “Food Network Star” (Food, 9 p.m.). A documentary tracks “The Rise and Fall of Pablo Escobar” (History, 9 p.m.). Cassidy learns to love Eccarius on “Preacher” (AMC, 10 p.m.). On “Shades of Blue” (NBC, 10 p.m.), Harlee tries to stay on her new path. The 15th season of “Keeping Up with the Kardashians” (E!, 9 p.m.) begins with a fight over the family Christmas card. Ashley gives an ultimatum on “The Real Housewives at Potomac” (Bravo, 8 p.m.). Malaysia faces her fear on “Basketball Wives” (VH1, 10 p.m.). An earthquake hits “My Haunted House” (Travel, 8 p.m.). An engagement ring is one of the “Haunted Things” (Travel, 9 p.m.). Debbie Gibson teams up with Katie Lee on “Beat Bobby Flay” (Food, 10 p.m.). Adam Rippon drops by on “Ridiculousness” (MTV, 8 p.m.). Scotty McCreery, Chris Kattan, Amber Riley, Tori Spelling and Dean McDermott play “Celebrity Family Feud” (ABC, 8 p.m.). Nick Lachey, Vanessa Lachey, Gayle King and Terrell Owens play “The $100,000 Pyramid” (ABC, 9 p.m.). “To Tell the Truth” (ABC, 10 p.m.) panelists are Sherri Shepherd, Josh Malina, Ryan Hansen and Ayesha Curry. Katharine Hepburn stars all day on Turner Classic Movie in “Morning Glory” (6 a.m.), “Song of Love” (7:30 a.m.), “Little Women” (9:45 a.m.), “Mary of Scotland” (11:45 a.m.), “The Philadelphia Story” (2 p.m.), “Suddenly, Last Summer” (4 p.m.), “Pat and Mike” (6 p.m.), “Bringing Up Baby” (8 p.m.), “Desk Set” (10 p.m.), “Stage Door” (midnight), “Without Love” (1:45 a.m.) and “The Madwoman of Chaillot” (3:45 a.m.). Sunday Night Baseball returns to Yankees at Boston (ESPN, 8 p.m.). Earlier games include Angels at Cleveland (TBS, 1 p.m.). Tennis has Springfield at Philadelphia (ESPN, 3 p.m.) in the world team tennis final. And there’s the final in the Silicon Valley Classic (ESPN2, 5 p.m.). WNBA action includes Washington at Dallas (NBA, 4 p.m.) and Phoenix at Los Angeles (NBA, 7 p.m.). Final rounds are played in the Women’s British Open (Golf, 7 a.m.; NBC, 11:30 a.m.) and the Bridgestone Invitational (Golf, noon; CBS, 2 p.m.). Soccer has its Women’s Under-20 World Cup with Mexico vs. Brazil (Fox Sports 1, 7:20 a.m.), North Korea vs. England (Fox Sports 1, 10:20 p.m.), New Zealand vs. Netherlands (Fox Sports 2, 10:20 a.m.) and France vs. Ghana (Fox Sports 2, 1:20 p.m.). And here’s a sport not often on TV the U.S. Open championship women’s finals in ultimate frisbee (ESPN2, 7 p.m.). ABC: Trump lawyer Jay Sekulow, Ohio Gov. John Kasich, Washington Gov. Jay Inslee, former Gov. Chris Christie. CBS: Trump counselor Kellyanne Conway, Rep. Adam Schiff, former secretary of education Arne Duncan. NBC: Sen. Amy Klobuchar. CNN: Reps. Ed Royceand Nanette Barragan, former Massachusetts Gov. Deval Patrick. Fox News: National Security Adviser John Bolton, Sen. Marco Rubio, Cody Wilson, director of Defense Distributed.